The classic mojito is a drink we all know and love. With a slight change of ingredients, namely Meyer lemons, this drink turns into something even better. It's minty fresh with bursts of sweet citrus that you'll absolutely love! Available for a limited amount of time each year, Meyer lemons are slightly sweeter and less acidic than regular lemons. Used in the kitchen for everything from baking to salad dressings, we have a fondness for using them in cocktails. 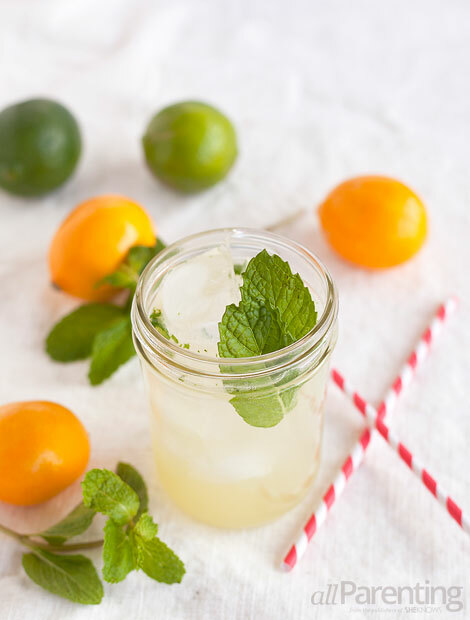 In this Meyer lemon mojito, we added freshly squeezed Meyer lemon juice to the classic mojito recipe along with some bitters to balance the flavors. The result is a delicious cocktail you'll be enjoying for as long as Meyer lemons are in season. Cheers! Add mint, lime juice, Meyer lemon juice and simple syrup to a cocktail shaker and gently muddle. Add rum and bitters to the shaker, fill with ice and shake. Strain into an ice-filled highball or Collins glass (or a Mason jar). Top with soda water and garnish with a sprig of fresh mint before enjoying!